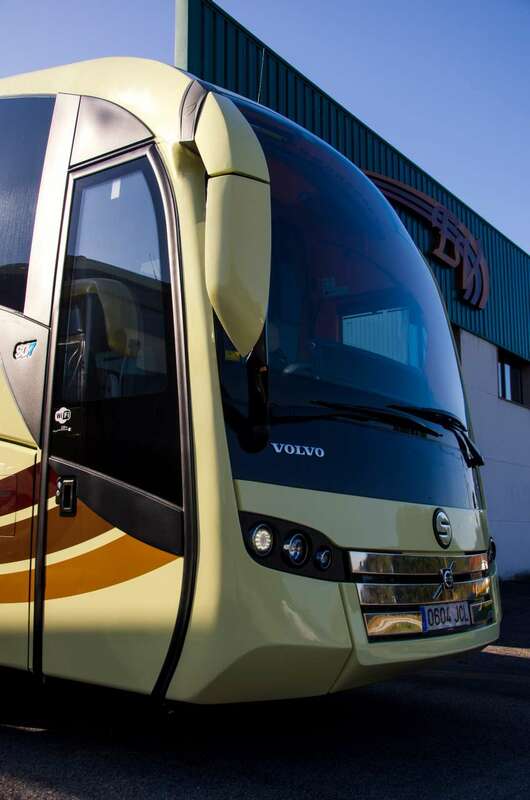 We have a fleet of modern and innovative coaches, which adapts to the needs of each client and offers you the maximum comfort, quality and safety. The capacity of our buses varies depending on the number of passengers. 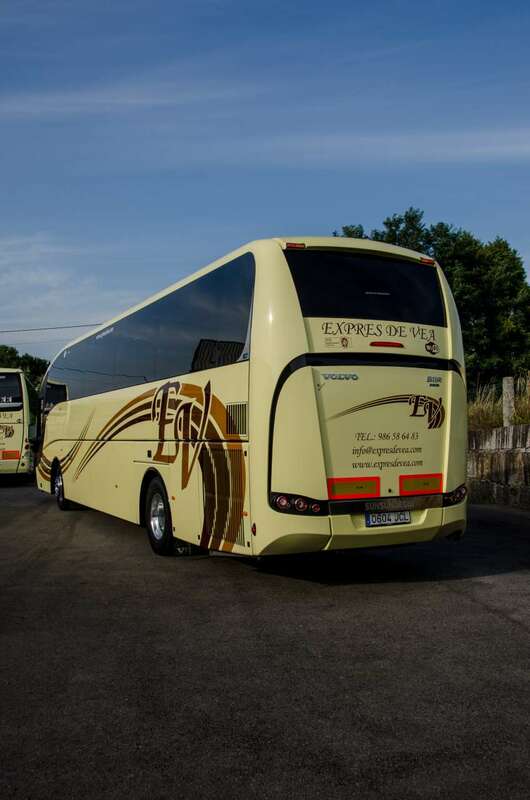 We have coaches from 9 to 20 seats, from 21 to 35 seats and from 36 to 59 seats. 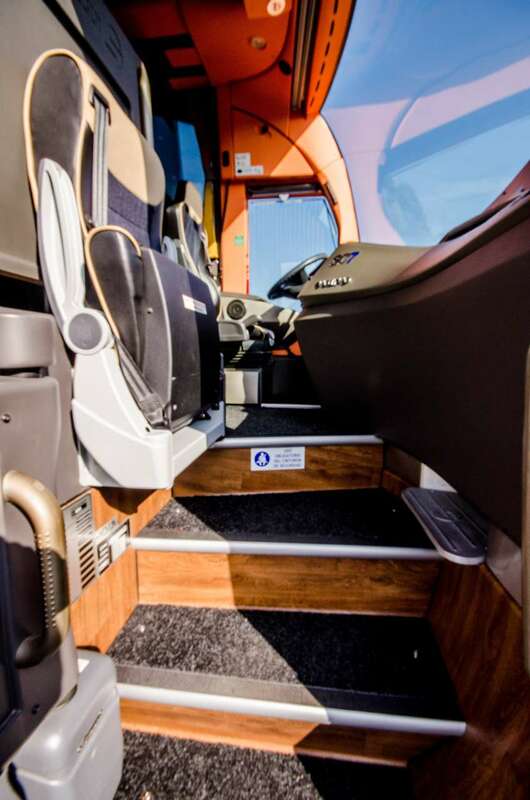 Our coaches have all the features: reclining seats, refrigerator, TV, WIFI, plugs, USB ports, seat belts, game tables , etc. In all our buses and routes we carry out a strict compliance with European regulations on safety, responsible driving and respect for the environment. We have the latest in comfort: WIFI, USB ports, 220v plugs, game tables, Freeview TV, high foot rests, etc. We have a Human Team with extensive experience in the sector that is in continuous training and recycling. We have Last Generation coaches that incorporate cutting edge safety technology (Roll Over Systems, EBS, ESP, Pneumatic Suspension, Anti-deformable structures, ABS-ASR, etc.). We do a daily review, maintenance and cleaning of the coaches, in addition to the regular maintenance in the official workshops. 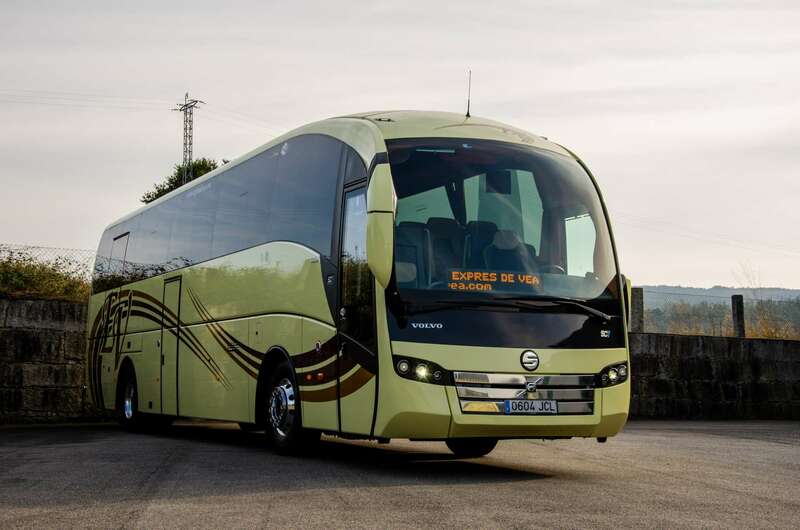 We have eco-friendly coaches, complying with the EURO5 and EURO6 regulations, which regulates the emission of gases into the atmosphere. We have certified our quality in passenger transport services according to ISO9001 and UNE-EN 13816: 2003 standards.